With the conclusion of our U18 and U15 Players Championships, the third season of the Junior Slam Series officially comes to an end. What a terrific season we had and we can’t begin to thank everyone for supporting us. As we continue to grow we wanted to share some important milestones achieved. Last year saw expansion of the Junior Slam Series to 5 provinces. 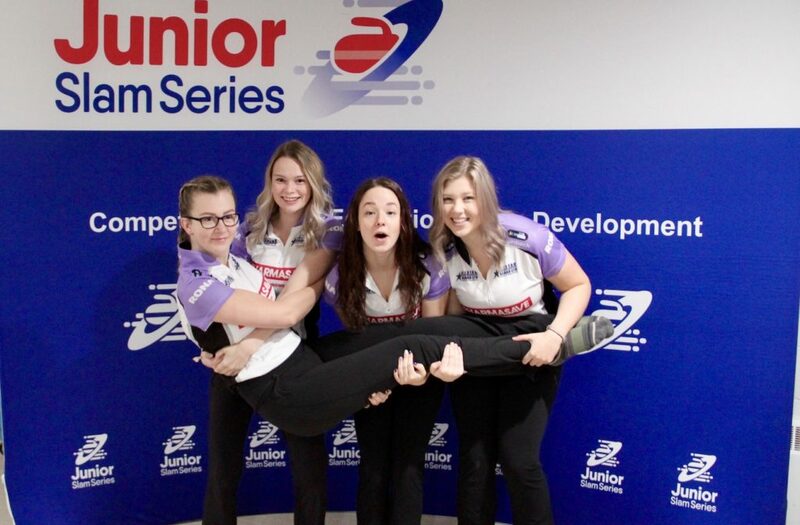 Our U21+ series saw both new and returning events in Nova Scotia, New Brunswick, Quebec, Ontario and Saskatchewan. New U21+ events in Gatineau PQ, St. John NB, and North Battleford SK, were well received and helped plant the seed for future events in each of those provinces. U21+ Slams allowed teams to compete with athletes up to the age of 24 which enabled university and college teams to gain valuable competitive experience at our events. Although we saw only a small number of varsity teams, we are confident participation in category will grow. Our first Mixed Doubles event held in Ontario was a huge success and with it we were able to foster a tremendous relationship with the Nordic Junior Curling Tour (NJCT). The MD Event Champions are headed to Stockholm, Sweden in a few weeks to compete on behalf of the Junior Slam Series in an international exchange competition. The first of what will be an annual event for both the NJCT and JSS. Our U15 series got off to a slow start but we learned a lot about this age group. Improving U15 connectivity, networking and creating fun learning experiences will be huge on our Season 4 agenda. Our first U15 event at Bayview reminded us of why we love this sport. Great fun, great spirit combined to make great memories. One of our core values is Education and we were extremely proud of the launch of the Connor Ramsay Memorial Bursary. Partnering with a team Glenn Howard and Connor’s family made this a truly special component of our season. Entries from across the country were received ultimately leading to the awarding of $1000 bursaries to two deserving student athletes Madison Fisher and Eric Fenech. Our ROCKTalk series saw some exceptional speakers in Season 3. Media icon and Olympian George Karrys, Olympic trainer Al Bodnarchuk, CBC’s Devin Heroux, Word Curling’s Scott Arnold, competitive athletes Sherry Middaugh, Lisa Weagle and our very own Morgan Lavell, were among the speakers who brought great information to slam coaches and athletes. Our sponsors help to make everything we do possible. This past season we would like to thank our major sponsors. Hardline Curling & icePad ® sponsored our on-line scoreboards, which were viewed by our fans over 90,000 times this year. 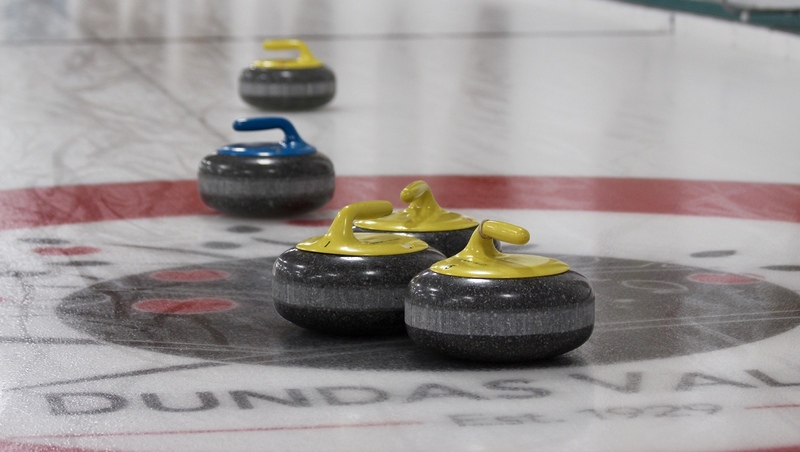 Last Rock continued to outfit our teams and sponsored the Hotshots competition at the Players Championships, and Curl Coach continued to provide free LiveStones at all of our events as well as making several appearances to help coaches to better use Curl Coach. As we prepare for Season 4 we want to thank those who support the Junior Slam Series. From the host curling clubs who welcome us in their doors, to the provincial curling associations who work closely with us to help plan our calendar, to the parents and fans who come out to support their future stars, and last but not least to the coaches and athletes who support our competitions and compete with the spirit of the game in their hearts and minds. We look forward to seeing everyone again next season.